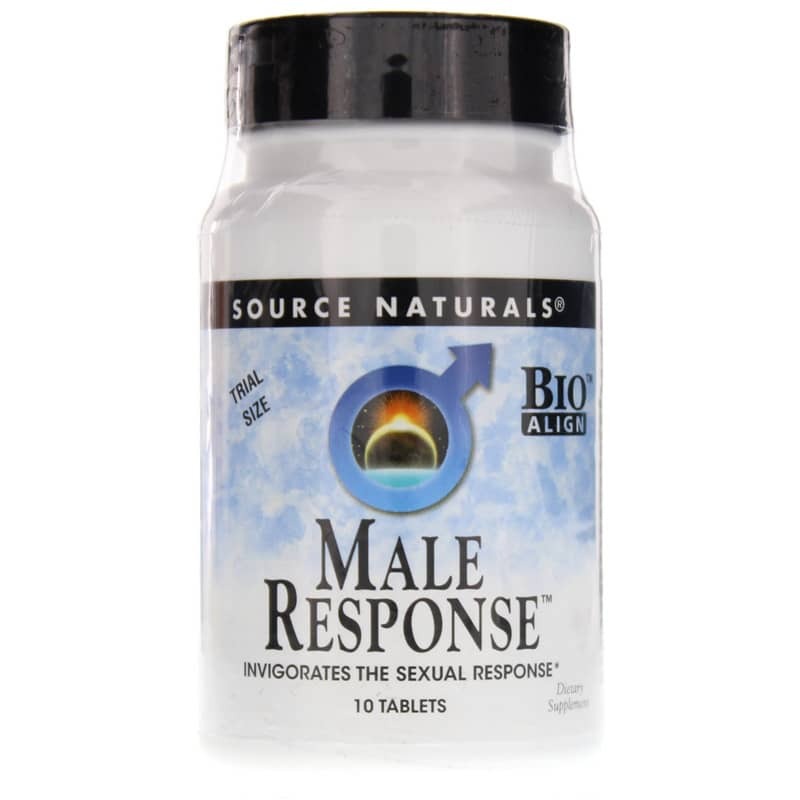 Male Response from Source Naturals is a natural herbal formula designed to support the multiple, interconnected systems involved with male sexual function. This bio-aligned dietary supplement may help bring alignment to such interrelated body systems as hormonal function, energy generation, circulation, the brain and nervous system, and the prostate gland. 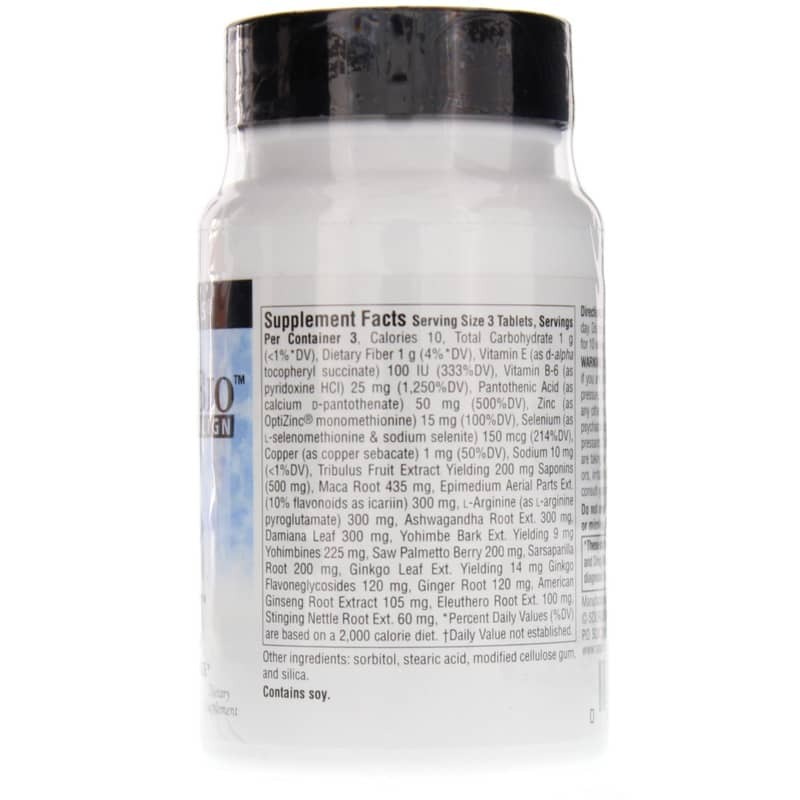 This bio-aligned dietary supplement may help invigorate your sexual response while helping to promote the health of the prostate gland, revitalize energy levels, and nourish your adrenals. Adults using this invigorating male response formula may take one to three tablets during meals, and up to five tablets each day, but no more than five. It is best to take this formula on a daily basis for ten weeks with a one week break before resuming. Adults: 1 to 3 tablets with a meal, up to 5 tablets per day. Do not exceed more than 5 tablets per day. Best if taken daily for 10 weeks with a 1 week break before resuming. Contains yohimbine. 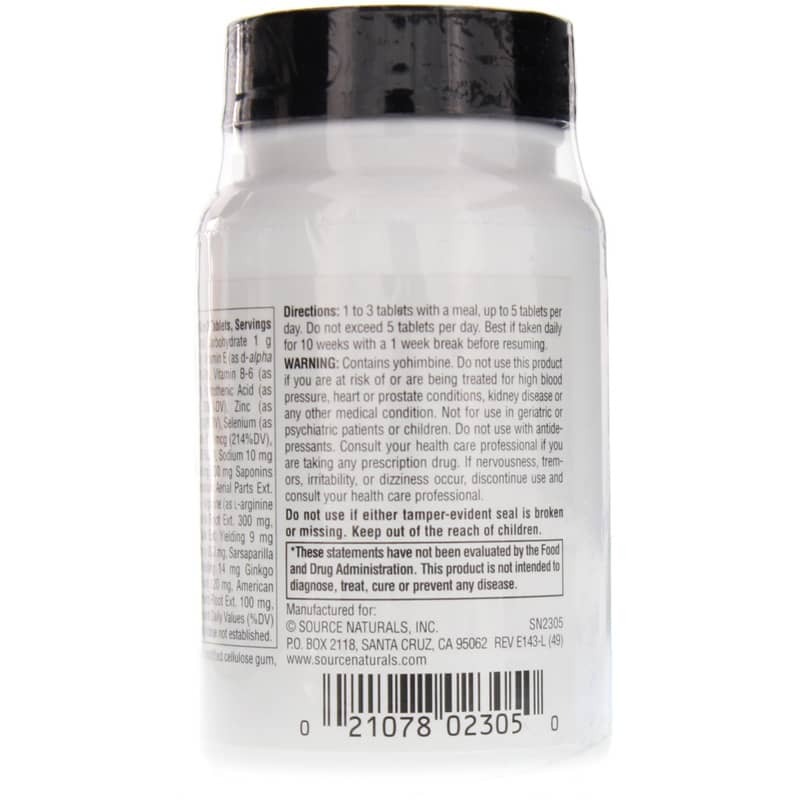 Do not use this product if you are at risk or are being treated for high blood pressure, heart or prostate conditions, kidney disease or any other medical condition. Not for use in geriatric or psychiatric patients or children. Do not use with anti-depressants. Consult your healthcare professional if you are taking any other prescription drug. If nervousness, tremor, irritability, or dizziness occurs, discontinue use and consult your healthcare professional. Do not use if either tamper-evident seal is broken or missing. Keep out of the reach of children. My little Leah loves her good and especially the treats!